- Free to Play (abbreviated F2P) was launched in the fall 2010 and introduced a new business model. 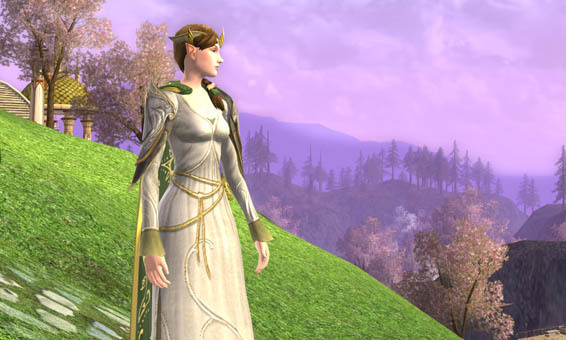 Players can play for free with significant restrictions and remove those restrictions by making a purchase in the in-game Lotro Store with Turbine Points (TP). You can download the game for free and start playing without a subscription or even a credit card. Anyone can join the game for free as a Free player. -You will automatically be upgraded to Premium player status with your first purchase of something for real world money, Turbine Points (TP), etc. Adding the key from a physically purchased Moria box to an account will add 30 days of VIP time. Note: These are old boxes from before Free to Play. Also note that European (CodeMaster) keys are no longer valid. Having a Lifetime Membership. Note: no longer purchasable. Access to all Quests, Instances and Skirmishes except for those acquired through expansions (Moria, Mirkwood, Rise of Isengard, and Riders of Rohan). 500 Turbine Points per month. 5 Character slots per server. Can acquire the horse riding skill for free from a quest at level 20. 30 Active Auction House listings. Can earn and spend Destiny Points on in-game perks. Full Freep access to PvMP. (*)= These features cannot be purchased from the LOTRO Store and are exclusive VIP features. Goodbye Darimdam The Swift Arrow!